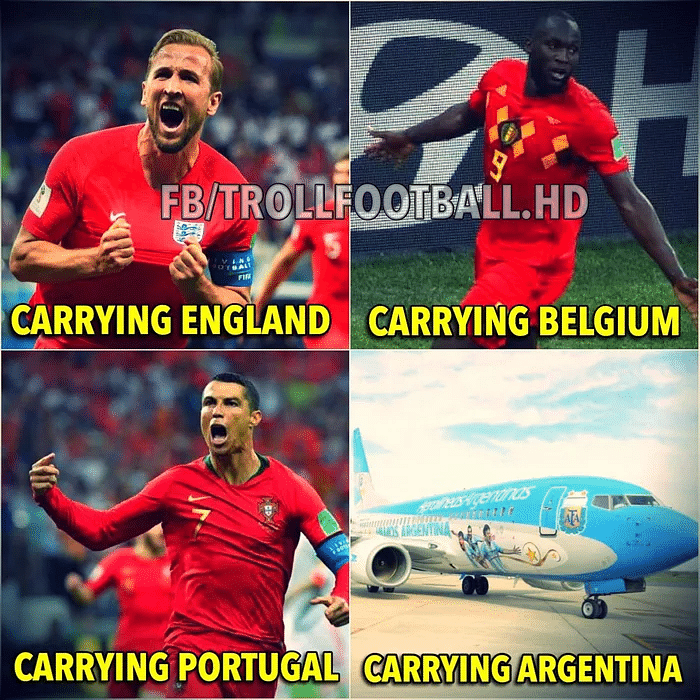 Football fans yesterday were quick to react with a new wave of memes on social media, after Argentina embarrassingly went down 3-0 to an impressive Croatia Group D encounter at the World Cup. Much was expected of Argentina’s talisman Lionel Messi, who had been tipped to redeem himself after missing a crucial penalty in the team’s 1-1 draw against Iceland. But he failed to spark his team to life, with his performances so far in stark contrast to the likes of Portugal’s Cristiano Ronaldo, Belgium’s Romelu Lukaku and England’s Harry Kane – all of whom have sparkled in Russia. Have any more memes? Share them below!